Joseph Boyle was born in Philadelphia on 30 July 1942. He grew up in a devoutly Catholic family and received his primary and secondary education in Catholic schools. His higher education began in 1960 in the college division of St. Charles Seminary, Philadelphia, where he learned Latin and was introduced to philosophy, including the philosophical work of Bernard Lonergan, S.J. Transferring to LaSalle College (now University), his interest in philosophy grew, and he decided to become a philosophy professor. As he completed his A.B. at LaSalle, he applied for admission to Georgetown University’s graduate program in philosophy, and his outstanding undergraduate record won him the offer of a three-year N.D.E.A. Fellowship. Gladly accepting that offer, Boyle began studying at Georgetown for the doctorate in the fall of 1965. He had applied to Georgetown partly because Germain Grisez, then a professor there, had shown interest in Lonergan’s philosophy. In the spring of 1966 Boyle took a course on the ethical theory of St. Thomas Aquinas with Grisez, and in the summer of that year, a few weeks after marrying Barbara Dean, Boyle undertook a directed readings course on Longeran. Thus began a working relationship that still continues. With Grisez’s tutoring, Boyle’s philosophical interests shifted from Lonergan and focused on arguments that seek to show positions to be self-refuting. The great importance of such arguments is that they can vindicate basic metaphysical principles. With Grisez as director, Boyle completed his dissertation, “The Argument from Self-Referential Consistency: The Current Discussion, ” between the spring of 1968 and Thanksgiving of 1969. The examining committee unanimously agreed to award him honors for the dissertation and his defense of it, and he received his Ph. D. in 1970. During his years at Georgetown, Boyle, who was well-liked by many of his professors and fellow students, became a close colleague, collaborator, and family friend of Olaf Tollefsen, who worked on a related dissertation topic with Grisez. Boyle’s relatively speedy completion of his dissertation was motivated by his urgent need for a job. The fellowship at Georgetown had expired in 1968, and the Boyles had a child, Marion, born in 1967. Boyle was blessed to find a temporary, college-level teaching job not far from Washington, D.C., at St. Fidelis College near Pittsburgh. The position involved teaching philosophy to Capuchin seminarians in smallish classes. St. Fidelis proved an excellent environment in which to begin a career as a philosophy professor. The Boyles’ second child, their son, Thomas Aquinas, was born in Butler, Pennsylvania, in 1969, just after Boyle defended his dissertation. Lifelong friendships were formed during the two years the Boyles spent at St. Fidelis. The most important of these was with Fr. Ronald Lawler, O.F.M.Cap, then President of St. Fidelis. Father Ronald remained a close friend and, until his death in 2006, he gave encouragement and good example in Christian living to every member of the Boyle family. In 1970 Boyle became an assistant professor of philosophy at Aquinas College in Grand Rapids, Michigan. During five years there, he settled into the routine of academic life and began presenting academic papers and publishing in philosophy. The chair of Aquinas’s philosophy department, Sr. Theresa Houlihan, O.P., served as an inspiring role model of the academic’s vocation as teacher and colleague. During this busy time, the Boyles became actively involved in founding and leading the local pro-life group, an experience that pushed Boyle towards working more in moral philosophy and bioethics. While in Grand Rapids, Boyle also had the good fortune to be become acquainted with very able philosophers at nearby Calvin College. The generous opportunity they offered him to participate in their weekly discussions of ongoing work provided an important learning experience and a serious introduction to a very exacting form of analytical philosophy. At the same time, Boyle’s collaboration with Grisez and Tollefsen developed. The first fruit of it was their book on free choice, which was completed in the summer of 1975. That spring, the Boyles’ third child, Deirdre, was born in Grand Rapids. Boyle spent the 1975–76 academic year at Brown University in the National Endowment for the Humanities “College Teachers in Residence Program.” The Program included a year-long seminar with Roderick Chisholm and time for research. During this extraordinary year, Boyle, who began to work seriously on intention, was inspired by Chisholm’s rigorous and patient approach to philosophy. Another participant in the program at Brown that year was Thomas Sullivan, who taught at the College of St. Thomas in St. Paul, Minnesota. With Sullivan’s encouragement and support, Boyle became his colleague in the fall of 1976—an associate professor of philosophy at the College of St. Thomas. At that time, the philosophy department there was traditional and very tough-minded—an excellent philosophical community. The Boyles enjoyed life in St. Paul from 1976–81. MaryAnne, the last of their children, was born in Minneapolis in 1979. In the 1970s, Boyle’s collaboration with Grisez continued. During visits with Boyle in St. Paul, Grisez articulated many of the theological insights he was beginning to have, and the two also continued developing their thought about life-and-death issues. Those conversations bore fruit in their co-authored volume on euthanasia, published in 1979, and developed naturally into Boyle’s great contribution to the monumental project of The Way of the Lord Jesus, on which Grisez began working during the summer of 1978. In the early years of that project, Boyle helped Grisez with specifically theological issues, but the two were coworkers in the systematic development of the philosophical framework for Christian Moral Principles. During their years in Grand Rapids and St. Paul, the Boyles remained in touch with Fr. Ronald Lawler. Beginning in the late 1970s, Boyle worked with Fr. Ronald and William May on the project that became Catholic Sexual Ethics. In 1980 Fr. Ronald became director of the Center for Thomistic Studies at the University of St. Thomas in Houston. Wishing to build up the faculty of this recently-launched graduate program and think tank, which was focused on the philosophy of St. Thomas Aquinas, Father Ronald persuaded the Boyles to move to Houston and Joseph to join the faculty as professor of philosophy. In Houston, too, the Boyles made many lasting friendships, especially with Rev. Robert Crooker, C.S.B., and the Patrick and Rita Lee family. The Lees had also arrived at the Center in 1981; Patrick Lee and Boyle became and remain close collaborators and friends. There, too, the Boyle’s daughter, Marion, met her future husband, Kevin Kelleher; they now live in Houston with their seven children. While in Houston, Boyle became involved in Grisez’s collaboration with John Finnis, which led in 1987 to their co-authored book on nuclear deterrence and to the article, “Practical Principles, Moral Truth, and Ultimate Ends,” which has come to define the philosophical approach to natural law developed through their collaboration. The main reason why Grisez and Finnis found it profitable to work with Boyle was that his extraordinary analytic ablity helped them understand problems more clearly, criticize and work out arguments more effectively, and organize their thoughts better. Also while in Houston, Boyle became acquainted with Tristram Engelhardt of Baylor College of Medicine and Rice University. This began a friendly debate about Christianity, morality, bioethics and political philosophy that shaped many of Boyle’s publications from the late 1980s on. In 1986 Boyle was offered a position at St. Michael’s College in the University of Toronto. This provided a very appealing opportunity for teaching and research at a major university. Before moving to Toronto, the Boyles participated in a memorable conference on moral theology in Rome. There they became friends with Elizabeth Anscombe, to Boyle’s great philosophical benefit, and to the edification of his whole family. In 1989 Boyle was elected President of the American Catholic Philosophical Association. At the Association’s annual meeting in New Orleans on the general topic of marriage, Grisez presented a very powerful and important paper on the beginning of human life. In 1991 Boyle undertook an administrative job, the office of Principal of St. Michael’s College, the Catholic college of the University of Toronto. (The Principal is the academic head and chief administrative officer of the College; he also represents the interests of the College in the wider academic community and serves on several, important University committees.) Boyle was elected to this position for two terms, from 1991–2002. The task proved difficult but rewarding. Boyle gladly returned to the classroom after 2002, and was able to work more vigorously and publish on the theory of action and practical reason. Two shorter administrative tasks, as interim chair and later as acting chair of the University’s philosophy department, limited his philosophical work, but not permanently. 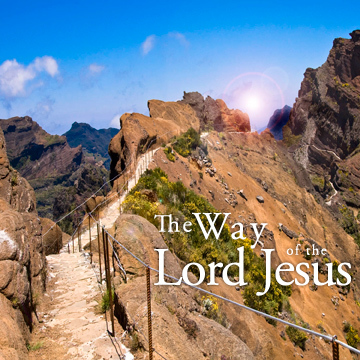 Through the middle 1990s, as his administrative responsibilities permitted, Boyle continued to help Grizez in developing the third volume of The Way of the Lord Jesus. As usual in working with Grisez, this cooperation led Boyle to additional work on his own, in this case on cooperation with evil and the ethics of side effects. Boyle’s ongoing philosophical work is focused on three topics: the justification of the moral distinction between intended outcomes and accepted side effects that underlies the double effect doctrine; the analytical development and defense of the thesis of the incommensurability of the goods involved in options for choice, and refinements of the ethics of modern warfare. In 2009–10, Boyle is completing his last year of full time teaching and looking forward to having more time to work on those topics, and to engage more fully with the growing group of younger philosophers who have paid attention to the natural law approach that Grisez sketched out during the 1960s and that Boyle, Finnis, and Grisez have since cooperated in developing and applying to a wide range of ethical and jurisprudential problems. Nuclear Deterrence, Morality, and Realism, with John Finnis and Germain Grisez (Oxford: Oxford University, 1987). Catholic Sexual Ethics: A Summary, Defense, and Explanation, with Ronald Lawler, O.F.M.Cap., and William E. May (Huntington, Ind. : Our Sunday Visitor, 1984; updated 1996; 2nd ed. 1998). Life and Death with Liberty and Justice: A Contribution to the Euthanasia Debate, with Germain Grisez (Notre Dame; University of Notre Dame, 1979). Selections reprinted in Right Conduct: Theories and Applications, ed. Michael D. Bayles and Kenneth Hanley (New York: Random House, 1983), 156–63. Free Choice: A Self-Referential Argument, with Germain Grisez and Olaf Tollefsen (Notre Dame: University of Notre Dame, 1976). “Introduction: Section IX: Religious and Cultural Perspectives in Bioethics,” with David Novak, in The Cambridge Textbook of Bioethics, ed. Peter A. Singer and A. M. Viens (Cambridge: Cambridge University, 2008), 379–82. “Roman Catholic Bioethics” with Christopher Tollefsen, in The Annals of Bioethics, vol. 2, Religious Perspectives in Bioethics, ed. J. Peppin, M. Cherry, and A. Iltis (London: Taylor and Francis, 2004), 1–20. “‘Direct’ and ‘Indirect:’ A Reply to Critics of Our Action Theory,” with Germain Grisez and John Finnis, Thomist, 65:1 (January 2001): 1–44. “Response to our Critics and to our Collaborators,” with Germain Grisez, in Natural Law and Moral Inquiry: Ethics, Metaphysics and Politics in the Work of Germain Grisez, ed. Robert P. George (Washington D. C.: Georgetown University, 1998), 213–37. “Introduction,” with Wayne Sumner, in Philosophical Perspectives in Bioethics, ed. Wayne Sumner and Joseph Boyle (Toronto: University of Toronto, 1996). 3–8. “Incoherence and Consequentialism (or Proportionalism)—A Rejoinder,” with John Finnis and Germain Grisez, American Catholic Philosophical Quarterly, 64 (1990): 271–77. “Every Marital Act Ought to be Open to New Life: Toward a Clearer Understanding,” with Germain Grisez, John Finnis, and William E. May, Thomist, 52:3 (July 1988): 365–426; reprinted in The Teaching of Humanae Vitae: A Defense (San Francisco: Ignatius, 1988), pp. 35–116; in Italian, “‘Ogni Atto Coniugale Deve Essere Aperto a una Nuova Vita’: Verso una Comprehensione Piú Precisa,” trans. Margherita Sani, Rivista di Studi sulla Persona e la Famiglia: Anthropotes, 4 (1988): 73–122. “Practical Principles, Moral Truth, and Ultimate Ends,” with Germain Grisez and John Finnis, American Journal of Jurisprudence, 32 (1987): 99–151. “The Reformed Objection to Natural Theology: A Catholic Perspective,” with J. Hubbard and Thomas Sullivan, Christian Scholars’ Review, 11 (1982): 199–211. “The Diffusiveness of Intention Principle: A Counter-Example,” with Thomas Sullivan, Philosophical Studies, 31 (1977): 357–60. “Determinism, Freedom, and Self-referential Arguments,” with Germain Grisez and Olaf Tollefsen, Review of Metaphysics, 26 (1972): 3–37. “Contraception and Anesthesia: A Reply to James DuBois,” Christian Bioethics, 14 (2008): 217–25. “Towards Ethical Guidelines for the Use of Artificial Nutrition and Hydration,” in Artificial Nutrition and Hydration: The New Catholic Debate, ed. Christopher Tollefsen (Dordrecht: Springer, 2008), 111–21. “Enriching Proportionalism Through Christian Narrative in Bioethics: The Decisive Development in Richard McCormick’s Moral Theory?” Christian Bioethics, 14 (2008): 302–9. “Genetics, Medicine and the Human Person: The Papal Theology,” in Ethics and the New Genetics, ed. D. Mansour (Toronto: University of Toronto, 2007), 134–42. “The Bioethics of Global Biomedicine: A Natural Law Reflection,” in Global Bioethics: The Collapse of Consensus, ed. T. Engelhardt (Salem, Mass. : Michael Scrivner, 2006), 300–344. “Traditional Just War Theory and Humanitarian Intervention,” Humanitarian Intervention: Nomos XLVII, ed. M. Williams and T. Nardin (New York: New York University, 2006), 31–57. “Gobalization and the Culture of Life,” in Globalization and the Culture of Life: Care of the Frail Elderly and the Dying: Proceedings of the CCBI 2003 International Colloquium, ed. B. Campion and L. Walsh (Toronto: Canadian Catholic Bioethics Institute, 2005), 1–10. “Tolerating v. Supporting Research that Destroys Embryos: A Difference that Can Make a Moral Difference,” Journal of Contemporary Health Law and Policy, 22 (2006): 443–57. “Free choice, Incommensurable Goods, and the Self-Refutation of Determinism,” American Journal of Jurisprudence, 50 (2005): 139–64. “The Catholic Teaching on War and Peace: Its Application to American Foreign Policy After 9/11” University of St. Thomas Law Review, 3:3 (2005): 234–59. “Being Reasonable in Choosing among Incommensurable Goods,” Lex Vera, n.s., 6:1–2 (Winter 2005): 11–34. “Consecuencionalismo y proportionalismo en Veritatis Splendor,” in Theologia Moral: Libro de Actas del Congresso Internaciona: 27–29 de novembre de 2003 ( Murcia: Universidad Catolica San Antonio, 2004), 231–40. “Abortion and Christian Bioethics: The Continuing Importance of Abortion,” Christian Bioethics, 10:1 (2004): 1–5. “Medical Ethics and Double Effect: The Case of Terminal Sedation,” Theoretical Medicine, 25 (2004): 51–60. “Sanctity of Life and Authorization to Kill: Developments in the Catholic Ethics of Killing,” Fides et Ratio: University of St. Thomas Law Journal, 1 (2004): 217–33. “Natural Law and Global Ethics,” in Natural Law and the Possibility of Global Ethics, ed. M. Cherry (Dordrecht: Kluwer Academic, 2004), 1–15. “Casuistry,” in Handbook of Bioethics: Taking Stock of the Field from a Philosophical Perspective, ed. G. Kushf (Dordrecht: Kluwer Academic, 2004), 75–88. “Just War Doctrine and the Military Response to Terrorism,” Journal of Political Philosophy, 11:2 (2003): 153–70. “Natural Law Reflections on the Social Management of Ethical Pluralism,” in The Many and the One: Religious and Secular Perspectives on Ethical Pluralism in the Modern World, ed. Richard Madsen and Tracy B. Strong (Princeton, N.J.: Princeton University, 2003), 115–26. “Limiting Access to Health Care: A Traditional Roman Catholic Analysis,” in Allocating Scarce Medical Resources: Roman Catholic Perspectives, ed. H. T. Engelhardt and M. Cherry (Washington, D.C.: Georgetown University, 2002), 77–95. “Free Choice, Incomparably Valuable Options and Incommensurable Categories of Good,” American Journal of Jurisprudence, 47 (2002): 123–41. “Boundaries, Ownership and Autonomy: A Natural Law Perspective,” in Boundaries and Justice: Diverse Ethical Perspectives, ed. D. Miller and S. Hashmi (Princeton, N.J.: Princeton University, 2001), 296–316. “Freedom, Christian Values and Secular Values,” in The Battle for the Catholic Mind, ed. William E. May and Kenneth Whitehead (South Bend, Ind. ; St Augustine, 2001), 181–93. “The Genesis of the Consensus Statement of the Working Group on Roman Catholic Approaches to Determining Appropriate Critical Care,” Christian Bioethics, 7.2 (2001): 175–77. “Reasons for Action: Evaluative Cognitions that Underlie Motivations,” American Journal of Jurisprudence, 46 (2001): 177–97. “Fairness in Holdings: A Natural Law Account of Property and Welfare Rights,” Social Philosophy and Policy, 18:1 (2001): 206–26; also in Natural Law and Modern Moral Philosophy, ed. E. F. Paul, F. Miller, Jr., and J. Paul (Cambridge: Cambridge University, 2001), 206–26. “The Absolute Prohibition of Lying and the Origins of the Casuistry of Mental Reservation: Augustinian Arguments and Thomistic Developments,” American Journal of Jurisprudence, 49 (1999): 43–65. “Introduction,” Christian Bioethics, 5.1 (April 1999), 3–4. “Personal Responsibility and Freedom in Health Care: A Natural Law Perspective,” in Persons and their Bodies: Rights, Responsibilities, Relationships, ed. M. Cherry (Dordrecht: Kluwer Academic, 1999), 111–41. “On Imposing Our Morality on Others,” in Ethical Principle in Catholic Health Care: Selections from 25 Years of Ethics and Medics, ed. E. J. Furton and V. McLoud Dort (Boston: National Catholic Bioethics Center, 1999), 27–30. “Cooperation and Integrity: How to Think Clearly about Moral Problems of Cooperation,” in Issues for a Catholic Bioethic, ed. Luke Gormally (London: The Linacre Centre, 1999), 187–99. “An Absolute Rule Approach,” in Companion to Bioethics, ed. P. Singer and H. Kuhse (Oxford: Blackwell, 1998; rev. ed., 2008), 72–79. “The Place of Religion in the Practical Reasoning of Individuals and Groups,” American Journal of Jurisprudence, 43 (1998): 1–24. “Just and Unjust Wars: Casuistry and the Boundaries of the Moral World,” Ethics and International Affairs, 11 (1997): 83–98. “Intentions, Christian Morality and Bioethics: Puzzles of Double Effect,” Christian Bioethics, 3 (1997): 87–88. “Sanctity of Life and its Implications: Reflections on James Keenan’s Essay,” in Choosing Life: A Dialogue on Evangelium Vitae, ed. K. Wildes and A. Mitchell (Washington, D. C.: Georgetown University, 1997), 71–76. “The Roman Catholic Tradition and Bioethics,” in Bioethics Yearbook: Volume 5: Theological Developments 1992–1994, ed. A. Lustig (Dordrecht: Kluwer Academic,: 1997), 11–32. “Catholic Social Justice and Health Care Entitlement Packages,” Christian Bioethics, 2 (1996): 280–92. “Just War Thinking in Catholic Natural Law,” in The Ethics of War and Peace, ed. T. Nardin (Princeton: Princeton University, 1996), 40–53. “On the Importance of Natural Rights: Reflections on Paul Marshall’s ‘On the Universality of Rights’” in Sovereignty at the Crossroads? ed. L. Lugo (Lanham, Md. : Rowman and Littlefield, 1996), 177–83. “A Case for Sometimes Feeding Patients in Persistent Vegetative State,” in Examining Euthanasia: Legal, Ethical and Clinical Perspectives, ed. John Keown (Cambridge; Cambridge University, 1995), 189–98. “Radical Moral Disagreement in Contemporary Health Care: A Roman Catholic Perspective,” Journal of Medicine and Philosophy, 19 (1994): 183–200. “The Personal Responsibility Required for Mortal Sin” in Moral Truth and Moral Tradition: Essays in Honour of Peter Geach and Elizabeth Anscombe, ed. Luke Gormally (Dublin: Four Courts, 1994), 149–62. “Duties to Othera in Roman Catholic Thought,” in Duties to Others, ed. C. Campbell and A. Lustig (Dordrecht: Kluwer Academic, 1994), 73–89. “The Roman Catholic Tradition and Bioethics,” in Bioethics Yearbook, vol. 3, Theological Developments, 1990–1992, ed. B. Brody et al. (Dordrecht: Kluwer Academic, 1993), 19–42. “Natural Law and the Ethics of Traditions,” in Natural Law Theory: Contemporary Essays, ed. Robert P. George (Oxford: Oxford University, 1992), 3–30. “Natural Law and International Affairs,” in Traditions of International Ethics, ed. T. Nardin and D. Mapel (Cambridge: Cambridge University, 1992), 112–35. “The American Debate About Artificial Nutrition and Hydration,” in The Dependent Elderly: Autonomy, Justice and Quality of Care, ed. Luke Gormally (Cambridge: Cambridge University, 1992), 28–46. “Should Age Make a Difference in Health Care Entitlement?” in The Dependent Elderly: Autonomy, Justice and Quality of Care, ed. Luke Gormally (Cambridge: Cambridge University, 1992), 147–56. “Who is Entitled to Double Effect?” Journal of Medicine and Philosophy, 16 (1991): 475–94. “Further Thoughts on Double Effect: Some Preliminary Responses,” Journal of Medicine and Philosophy, 16 (1991): 565–70. “An Immoral Kind of Deterrence,” in Just War, Nonviolence and Nuclear Deterrence, ed. D. Cady and R. Werner (Wakefield, N.H.: Longwood Academic, 1991), 189–205. “The Roman Catholic Tradition and Bioethics,” in Bioethics Yearbook, vol. 1, Theological Developments: 1988–1990, ed. B. Brody et al. (Dordrecht: Kluwer Academic, 1991), 5–21. “Marriage Is an Institution Created by God: A Philosophical Analysis” (1989 Presidential Address), Proceedings of the American Catholic Philosophical Association, 63 (1990): 2–15. “Realist Versus Subjectivist Moral Decision Making,” in Creative Love: The Ethics of Human Reproduction, ed. John Boyle (Front Royal, Va.: Christendom, 1989), 47–68. “Does the Benefit Outweigh the Burden in the Artificial Provision of Nutrition and Hydration to a Person in a Profound and Ireversible Coma? An Affirmative Answer,” in Critical Issues in Contemporary Health Care, ed. Russell Smith (Braintree, Mass: Pope John Center, 1989), 60–69. “Sanctity of Life and Suicide: Tensions and Developments within Common Morality,” in Suicide and Euthanasia, ed. Baruch A. Brody (Dordrecht: Kluwer Academic, 1989), 221–50. “Natural Law, Ownership, and the World’s Natural Resources,” Journal of Value Inquiry, 23 (1989):191–207. “An Introduction to the Vatican Instruction on Reproductive Technologies,” Linacre Quarterly, 55 (1988): 20–28; reprinted as “An Overview of the Vatican’s Instruction on Reproductive Ethics,” in The Gift of Life: Proceedings of a National Conference on the Vatican Instruction on Reproductive Ethics and Technology, ed. M. Wallace and T. Hilgers (Omaha, Neb. : Pope Paul VI Institute,1990), 19–26. “Is ‘God Exists’ a Properly Basic Belief? A Consideration of Alvin Plantinga’s Argument,” in Thomistic Papers IV , ed. Leonard Kennedy (Houston: Center for Thomistic Studies, 1987), 169–84. “The Right to Health Care and its Limits,” in Scarce Medical Resources and Justice (Braintree, Mass. : Pope John Center, 1987), 13–25. “Objective and Subjective Sin: Reflections on Full Consent,” in Persona, Verita e Morale: Atti del Congresso Internazionale di Theologia Morale (Rome: Citta Nuova Editrice, 1987), 453–59. “Natural Law,” in The New Dictionary of Theology, ed. J. Komonchak, M. Collins, and D. Lane (Wilmington, Del. : Michael Glazier, 1987), 703–8. “Is Determinism Self-Refuting?” in Self-Reference: Reflections on Reflexivity, ed. Steven Bartlett and Peter Suber (Dordrecht: Martinus Nijhoff, 1987), 192–208. “Reverence for Life and Bioethics,” in Linking the Human Life Issues, ed. R. Hittinger (Chicago: Regnery, 1986), 101–40. “The Challenge of Peace and the Morality of Nuclear Deterrence,” in Peace in a Nuclear Age: The Bishop’s Pastoral Letter in Perspective, ed. Charles Reid (Washington, D.C.: The Catholic University of America, 1986), 323–35. “Moral Reasoning,” in Act and Agent: Philosophical Foundations for Moral Education and Character Development, ed. George F. McLean and Frederick E. Ellrod (Lanham, Md. : University Press of America, 1986), 165–97. “War: The Normative Alternatives,” in Just War Theory in the Nuclear Age, ed. John Jones and Marc Griesbach (Lanham, Md. : University Press of America, 1985), 3–22, 28–34. “Positivism, Natural Law, and Disestablishment: Some Questions Raised by McCormick’s Moralistic Amoralism,” Valparaiso University Law Review, 20:1 (Fall 1985): 55–60. “Philosophical Analysis and the Right to Health Care,” in Justice and Health Care, ed. Sr. Margaret John Kelly, D.C. (St. Louis: Catholic Health Association, 1985), 75–90. “The Principle of Double Effect: Good Actions Entangled in Evil,” in Moral Theology Today: Certitudes and Doubts, ed. Donald McCarthy (St. Louis: Pope John Center, 1985), 243–60. “Practical Reasoning and Moral Judgment,” Proceedings of the American Catholic Philosophical Association, 58 (1984): 37–49. “Aquinas, Kant, and Donagan on Moral Principles,” New Scholasticism, 53 (1984): 391–408. “A Catholic Perspective on Morality and Law,” Journal of Law and Religion, 1 (1983): 227–40. “What Should We Expect From the Discipline of Bioethics?” Listening, 17 (1982): 40–56. “Treating Defective Newborns: Who Decides? On What Basis?” Hospital Progress, 63 (August 1982): 34–38, 61. “Human Action, Natural Rhythms, and Contraception: A Response to Noonan,” American Journal of Jurisprudence, 26 (1981): 32–46. Review: “John Finnis, Natural Law and Natural Rights,” New Scholasticism, 55 (1981): 245–47. “The Patient/Physician Relationship,” in Moral Responsibility in Prolonging Life Decisions, ed. Donald McCarthy and Albert Moraczewski, O.P. (St. Louis: Pope John Center, 1981), 80–94. “Freedom, the Human Person and Human Action,” in Principles of Catholic Moral Life, ed. William E. May (Chicago: Franciscan Herald, 1981), 237–66. “Toward Understanding the Principle of Double Effect, ” Ethics, 90 (1980): 527–38; reprinted in The Doctrine of Double Effect: Philosophers Debate a Controversial Moral Principle, ed. P. A. Woodward (Notre Dame, Ind. : University of Notre Dame, 2001), 7–20. Review: “Alan Donagan, The Theory of Morality,” New Scholasticism, 53 (1979): 260–64. “That the Fetus Should be Considered a Legal Person,” American Journal of Jurisprudence, 24 (1979): 59–71. “Quality of Life Standards and Withholding Life Saving Treatment,” Proceedings of the American Catholic Philosophical Association, 53 (1979): 150–57. “Praeter Intentionem in Aquinas,” Thomist, 42 (1978): 649–65. “The Concept of Health and the Right to Health Care,” Social Thought, 3 (1977): 5–17; reprinted in Ethics: Theory and Practice, Readings in Moral Philosophy, ed. Cynthia Rostankowski and Manuel Velasquez (Englewood Cliffs, N.J.: Prentice-Hall, 1984), and in On Moral Medicine: Theological Perspectives in Medical Ethics, ed. S. Lammers and A. Verhey (Grand Rapids, Mich.: Eerdmans, 1987), 643–49. “On Killing and Letting Die,” New Scholasticism, 51 (1977): 433–52. “Double-Effect and a Certain Type of Embryotomy,” Irish Theological Quarterly, 44 (1977): 303–18. “Aquinas and Prescriptive Ethics,” Proceedings of the American Catholic Philosophical Association, 49 (1975),:82–95. “Self-referential Inconsistency, Inevitable Falsity, and Metaphysical Argumentation,” Metaphilosophy, 3 (1972): 25–42.